The core idea of Freight Midpoint is low membership fee, reasonable payment protection fee and the highest level of attendance to annual general meeting. What we expect from our member agents that they should adopt and aware of the strategy of Freight Midpoint. We want member agents to focus on annual conference and payment protection program since we provide the lowest membership fee with the highest level of service quality. Freight Midpoint is your meeting summit as well as protection summit. Our members have hundreds of partners from all over the world and have chance to work with them in totally secure environment. Freight Midpoint aims to provide reliable and strong partners to its members so there are rules to keep Freight Midpoint safe, effective and productive. If you are able to satisfy each step, then you're welcome our association to increase your shipment volume rapidly. 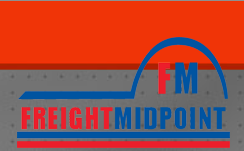 How to become a Freight Midpoint member? Please review our online members directory: www.freightmidpoint.com/membersdirectory >>> If you know any of our members, please request the member to send us a recommendation email for membership. - Applicant company should agree to cooperate with Freight Midpoint members. - Applicant company should NOT have been BLACKLISTED in any debt recovery agency website. - Applicant company should have at least two years experience in freight forwarding and logistics field. - Applicant company must be recommended by one of our current members. - Applicant company should provide legal certificate of incorporation, business licences and other certificates. - Applicant company should provide three overseas references from his freight forwarder and logistics partners. - Membership agreement should be signed by company authorised person. - Annual Conference participation is compulsory in every two years. - Required fees should be paid in full accordingly on time. Please note that Freight Midpoint is the one stop agent network solution so it is requested that the FM agents should transfer at least 30% of their business to fellow FM agents. Agents' performance will be evaluated by score cards or activity reports. High performance and great attention to fellow agents are required. A "ONE-OFF" INITIATION FEE: usd 250 is paid one time at entrance to the network. PAYMENT PROTECTION PROGRAM is provided through INO Global Protection which is one of the most transparent and effective systems. There is no must to join payment protection program, it is an OPTIONAL system. REGULAR MEMBERSHIP FEE is usd 250/year for headquarter or 1st office. -Including one year membership fee and EXCLUDING payment protection program fee. PREMIUM MEMBERSHIP FEE is usd 750/year for headquarter or 1st office. -Including one year membership fee and INCLUDING payment protection program fee. *Branch office defined as an office located in same country with Headquarter under same company name. It DOES NOT refer to an office in another country and DOES NOT refer to sister or sub-company. Above fees are based on per year (12 months). *In Freight Midpoint, a company must keep at least one year regular level membership. After successfully completion of 1st year complimentary membership, the member can upgrade its membership to Premium Level upon request.